People always say, "there must be a full moon" when others are acting strangely. 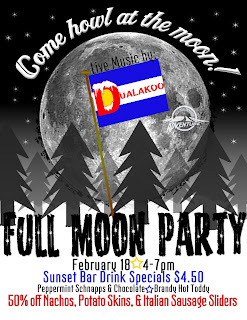 Well, we're welcoming your full moon behavior this Friday. 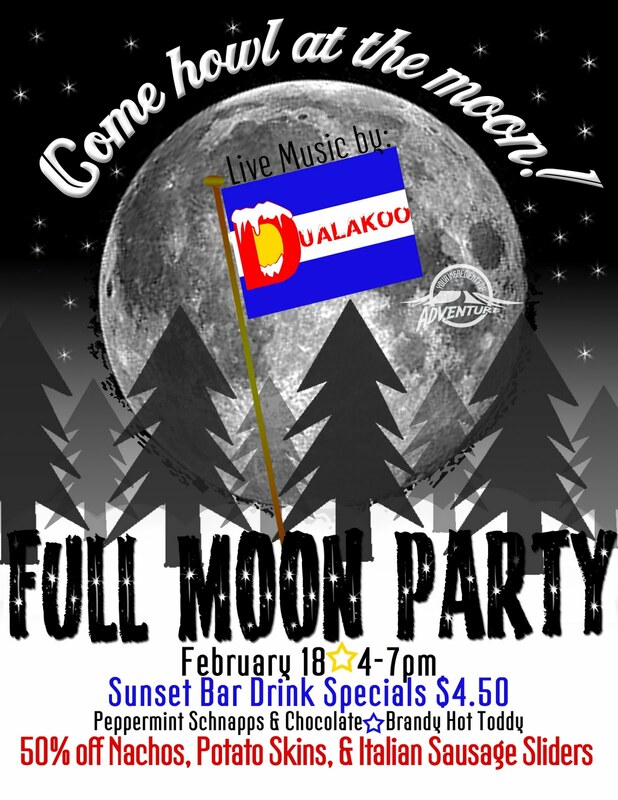 It's our second Full Moon Party of the season. The moon rises early, so enjoy a XC or snowshoe tour on the Grand Mesa. The Sunset Grille is your pre/post tour stop for live music, drink and appetizer specials. Uncovering Snow Bar for Another Party!